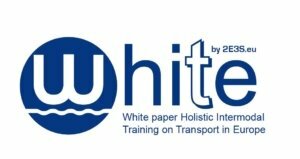 The WHITE project was born out of the hope to accelerate the shifting balance between transport modes, as specified in the White Paper approved by the European Commission in April 2011. It has been the project that have run the main courses of the Escola – WHITE Intermodality, WHITE MoS, and WHITE Rail, among others, until June 2015. Our long-term goal was to pave the way for the existence of competitive services and efficient logistics chains in Europe, using ports as central points of intermodal exchanges. By offering especially- tailored courses under the WHITE project we hoped to prepare the current and future professionals of the European transport sector for the challenges ahead.